Welcome to Strumpshaw Riding Centre superbly located in the picture postcard Broadland village of Strumpshaw, just 7 miles to the east of the Norwich. Proprietor Carol Johnson BHSAI Int SM moved back to Norfolk 12 years ago having trained professionally at some of the biggest and well known yards across the country. Today she runs one of the most popular and well known riding establishments in the county. The large indoor school and impressive brand new outdoor arena offer liveries and riding school clients a safe and secure environment to enjoy a range of equestrian activities, whatever the weather. Services range from full livery, riding lessons, breaking and schooling, to spinal and sports therapies, clinics and training courses. Whether you’re a keen amateur or a more experienced rider, there’s something for everyone at this friendly and welcoming yard. Carol is currently working towards her Intermediate Teaching exam, which will mean she will become a British Horse Society Intermediate Instructor once she has completed. A sympathetic and understanding approach to working with youngsters and re-training and re-schooling older horses and ponies. Horses coming to the yard are mostly through personal referrals and word of mouth driven by outstanding attention to detail and excellent end results. The riding school providing lessons to the public is currently taking a break, however there are occasional spaces for private clients with their own horses. Please enquire for availability. 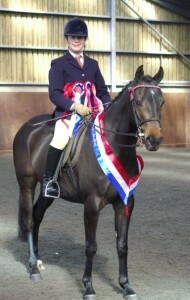 Full livery backed by outstanding care and welfare is available for both horses and ponies. Prices start from just £87 per week.